.....and it feels good! 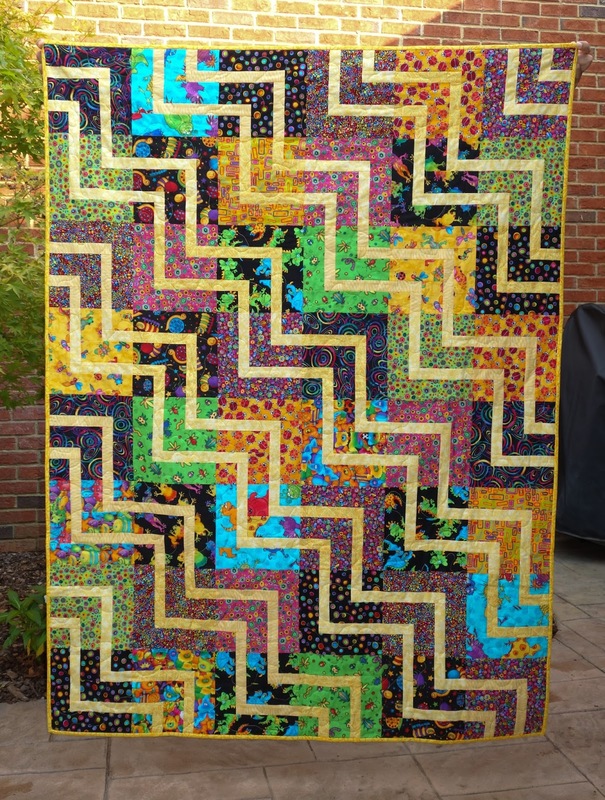 I love making charity quilts, and I've had several finishes lately. In February I was working on a purple baby quilt as well as one in teal for the Rainbow Scrap Challenge. You can see some of the process in this post. Both quilts have been completed, and I'm really happy with how they turned out. The purple one is really cute with that little pop of orange. The teal pinwheels are fun. So fresh and bright! 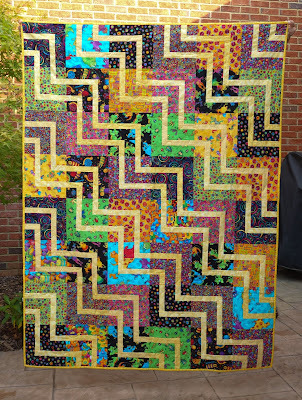 Another recent finish is this Zig-Zag quilt. The credit for this one is not entirely mine. 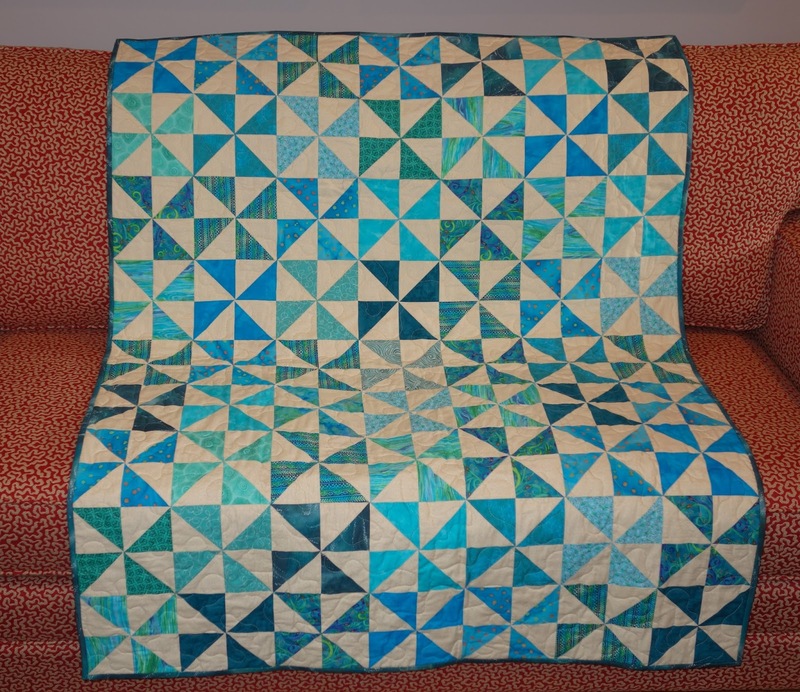 Several quilters made the blocks, then I put them together, quilted, and bound it. The block itself is super simple. It starts out with a square and builds from there using strips. You can probably figure out how to make it just by looking at the back. A different look is achieved depending on how you lay out the blocks. It's kind of fun to play with. Not as much fun making a decision! 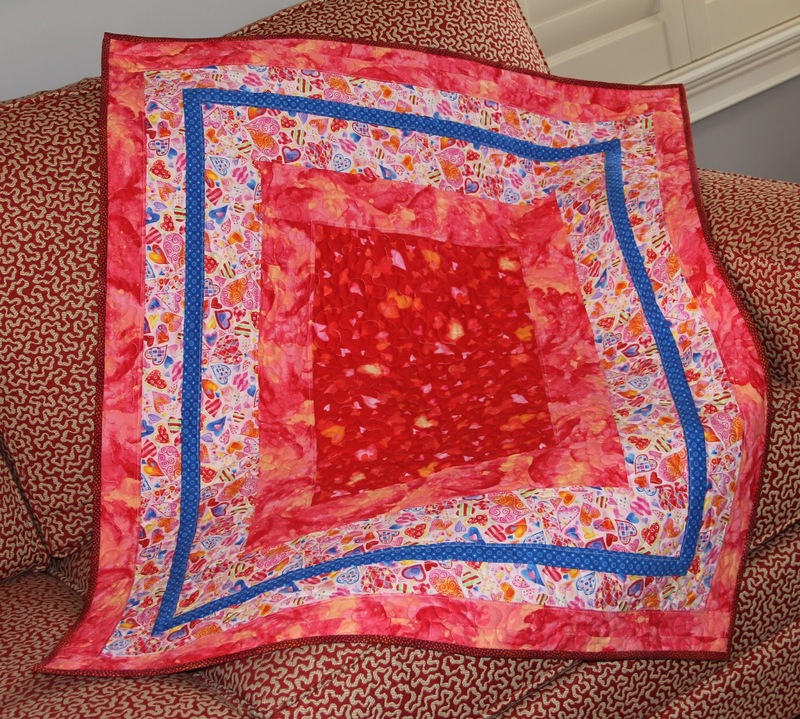 I added these three quilts to some I finished earlier this year - the Finding Dory quilt, the Strings Around the Block quilt, the Craving Color quilt, and the Every Day is Valentines Day quilt. All stacked up and ready to go to Choose Life of Northern Alabama. They look so fun and colorful. 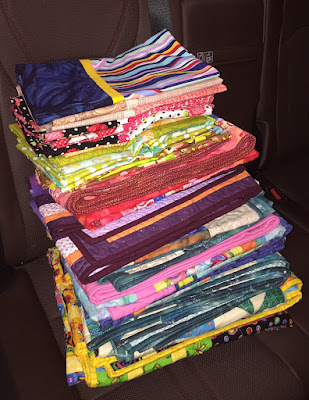 ..... stacked them up and threw them into the back seat of the car to deliver them. 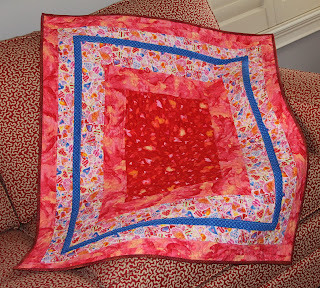 I'm linking up with Kit & Cat Quilts for "Sew Some Love!" 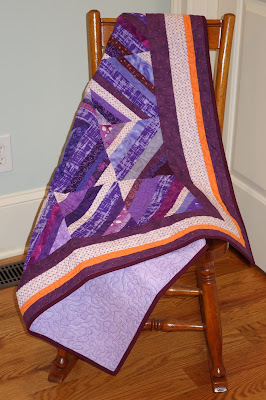 Also linking up with Confessions of a Fabric Addict - Can I get a Whoop Whoop? Beautiful quilts!! I love the purple string one. 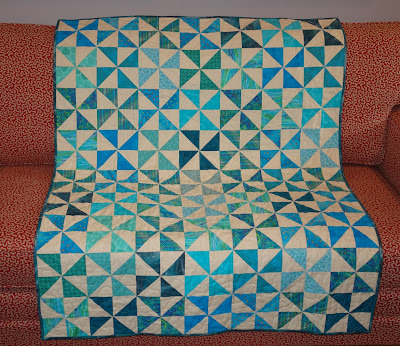 And the zigzag is really a neat pattern! Thanks for the peek at the back, it looks pretty straight forward to make. 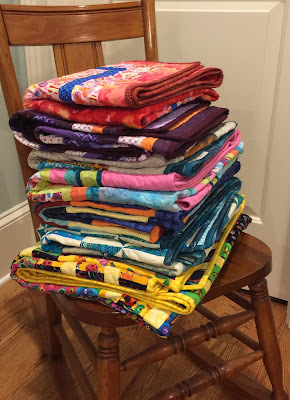 So many charity quilts! 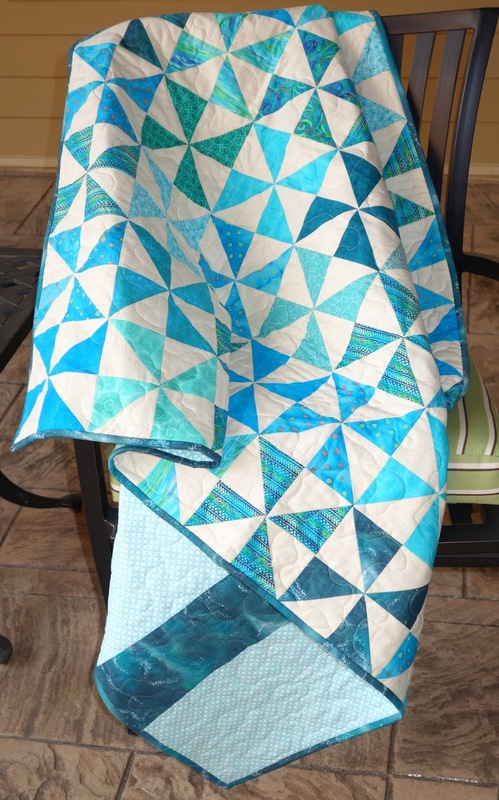 Love those teal pinwheels. 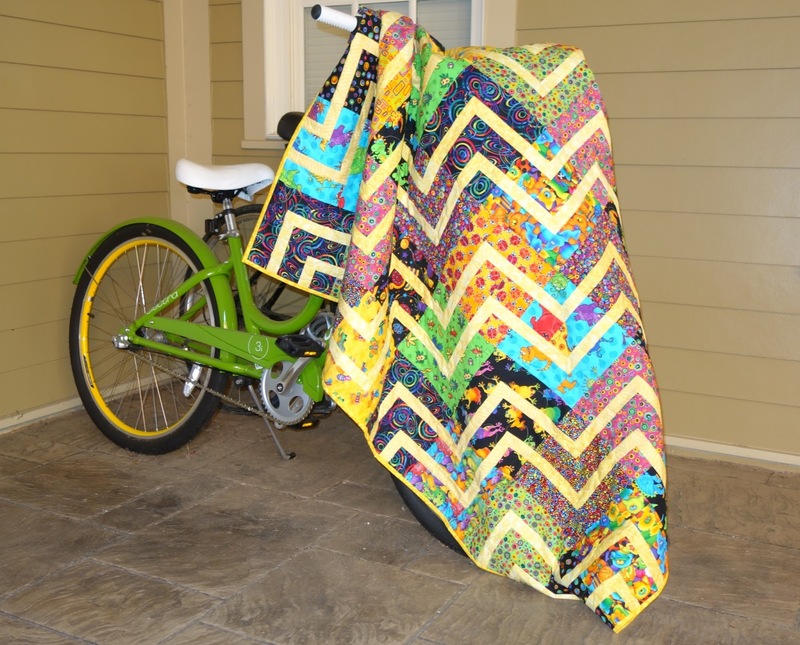 That zig-zag quilt is pretty cool, too. You've been busy! 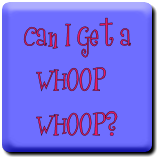 Great projects, thanks for linking up! Congrats! 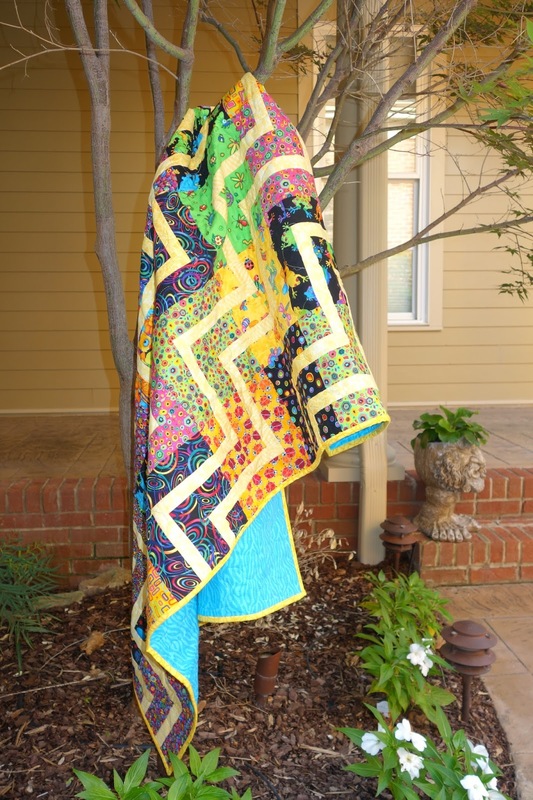 on your recently completed quilts and pillow cases. Your generous heart will bless so many. Good for you. I can't wait for guid to start so that I can donate some of my quilts that are sitting waiting to be delivered. It's a good feeling. Great job, sharing the love and affirming life through quilts and pillowcases!!! That is a LOT of charity quilts. 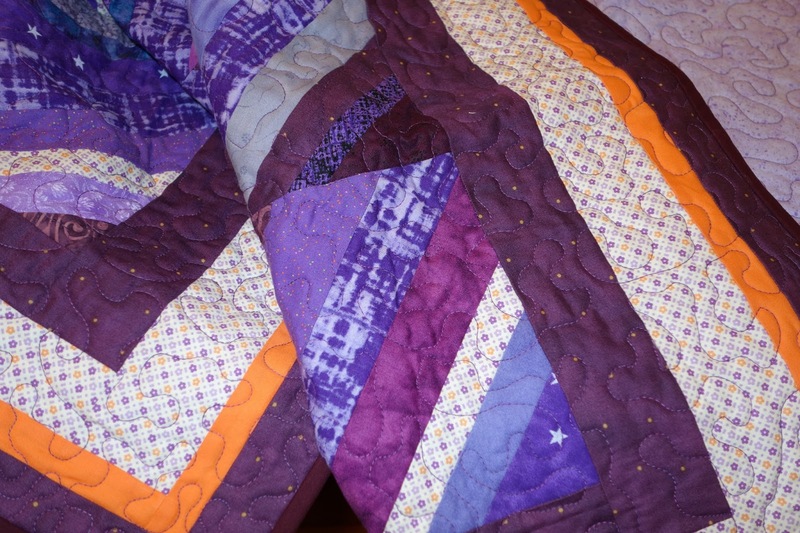 I really like the zigzag patterned one, and the teal pin wheels, and the purple one with the splash of orange..... and the strings around the block..... 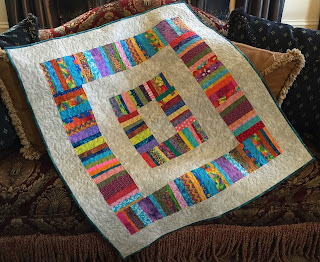 It is nice to meet some fellow charity quilters. Thanks for sharing. You're extremely prolific. I love the teal pin wheels. Wow! What a lot of prettiness! I really like that zig zag. And it does feel good to be a help! 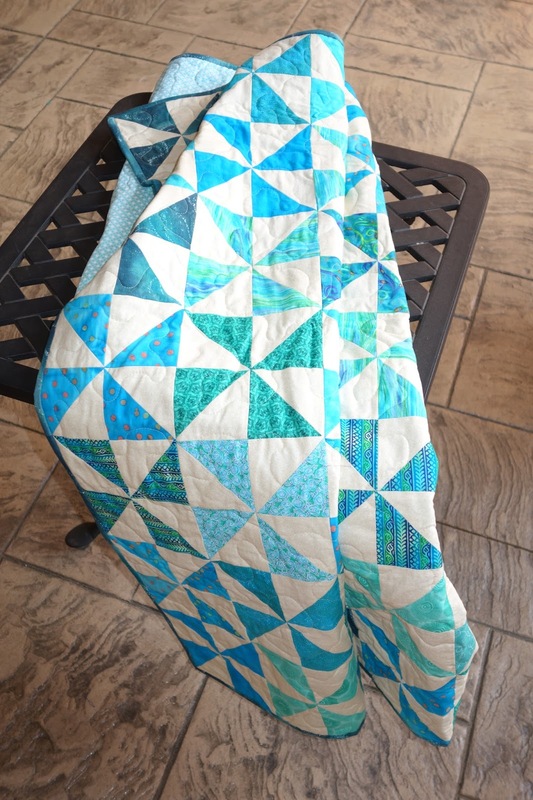 A fellow guild member of mine somehow happened across your blog... in particular one from August 2013 where you posted about your trip to the AQS show in Grand Rapids and shared pics of some of your favorites... the first one (Undercover) is mine! :) I'm flattered that you liked it and shared it. 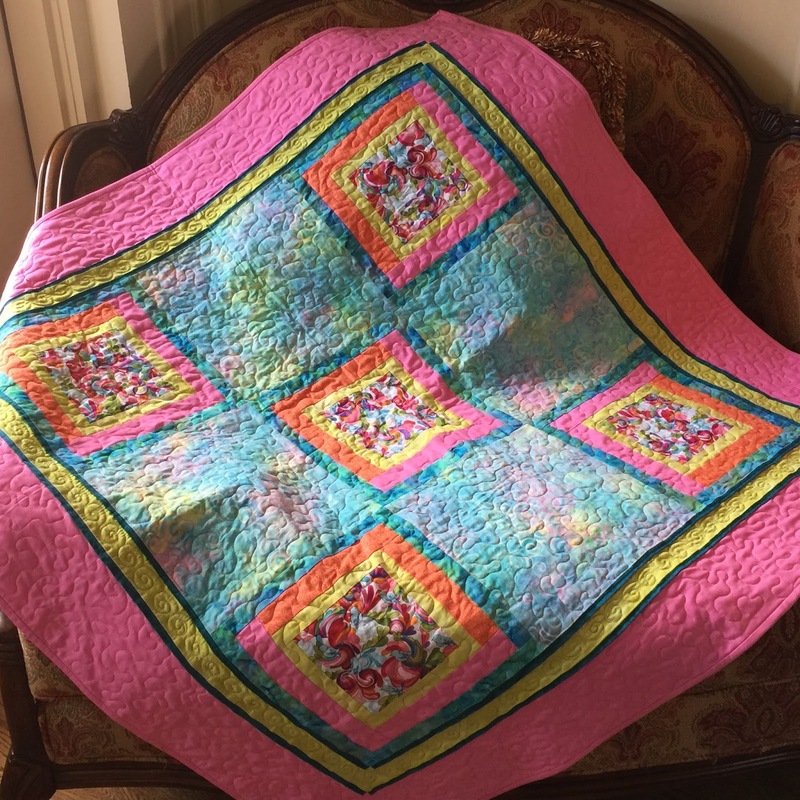 It was my first time EVER entering a quilt competition - didn't win anything but that was ok... I was there and got to 'overhear' several of the viewer's remarks - reward enough for me. My goodness, you have been busy! I love the touch of orange with the purple. What a unique combo! And the colors in the pinwheel quilt make me so happy!